For its 8th anniversary, Xiaomi introduced a trio of smartphones all of which are aimed at different market segments. 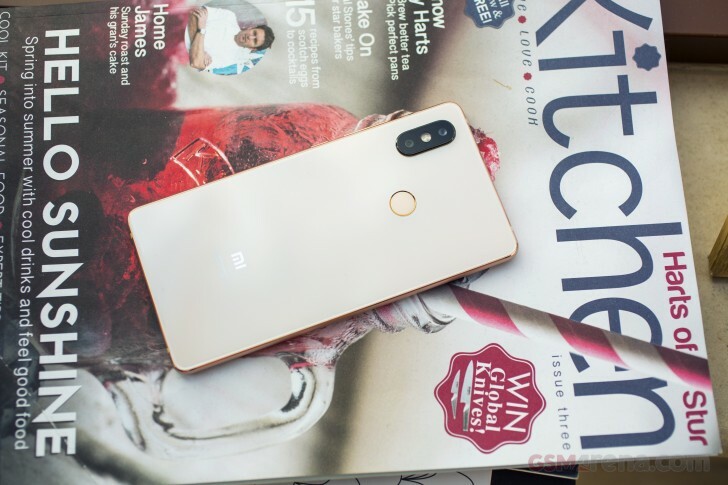 While the regular Mi 8 can be classified as a mainstream flagship and the Mi 8 Explorer Edition brings out the latest and greatest from the company, the Mi 8 SE should be a perfect fit for those seeking the best value for money. You can check out our first impressions and unboxing video or continue reading further down. But with the price cut come some trade-offs. 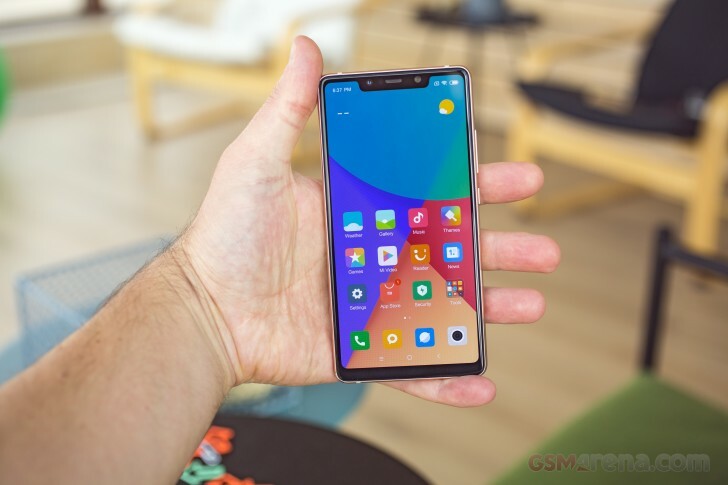 Fortunately, Xiaomi didn't have to settle so much along the way and the Mi 8 SE might turn out to be a pretty upper-mid-range sensible solution. The premium build is at hand - aluminum side frame and a glass back. The latter might put off some users as the phone doesn't support wireless charging. You get a relatively more fragile construction compared to the standard aluminum unibody without the benefit of a cable-free charging. Still, it feels good at hand despite the bit uncomfortable grip due to the flat back design. Another thing we've noticed right away is the notch, which existence is undermined by the rather thick side and top bezels. It seems like Xiaomi was just following a trend instead of actually saving up some space. Also, we don't have that fancy face recognition tech we saw in the standard Mi 8 and Mi 8 Explorer making us question the presence of the notch. 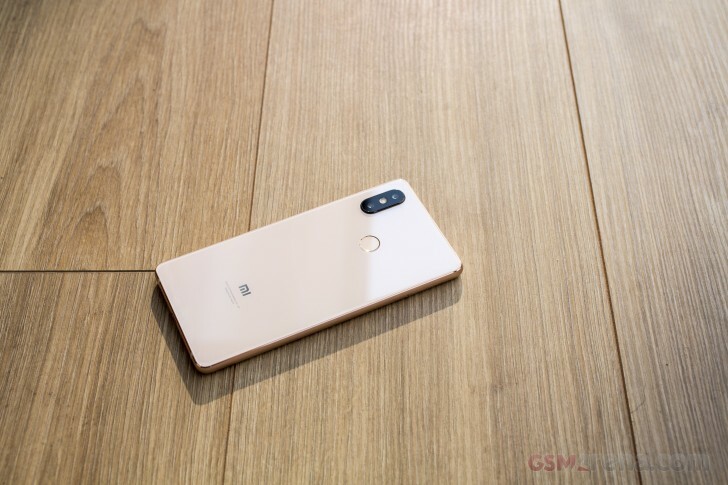 However, Mi 8 SE's strongest suit isn't the looks but its hardware. Early benchmark tests of the Snapdragon 710 show almost identical CPU performance as last year's Qualcomm flagship SoC, the Snapdragon 835. Only the GPU falls short but we expect improved energy efficiency and that's where the SD 710 will shine. The latter is paired with 4 or 6GB of RAM and 64GB of internal storage while the display, although smaller than the Mi 8's, is once again Super AMOLED, so no downgrade here. It offers 5.88-inch diagonal, tall 18.7:9 aspect ratio and sharp 1080 x 2244 pixels resolution. On the back, we find dual camera setup that consists of a 12MP (f/1.9) main sensor coupled with 5MP camera for depth sensing. A 20MP camera resides on the notch with f/2.0 opening so we expect some crisp selfie shots. Still, we would be more interested to see how it performs compared to the camera setup found on the regular Mi 8 as the specs sheet suggest a significant downgrade. The system is powered by a 3,120 mAh battery and currently runs Android 8.1 Oreo out of the box with Xiaomi's MIUI 9.5 on top. The latter will soon be bumped to MIUI 10. Even if the specs sheet suggests a great value proposition, the real-world performance and in-depth testing of its capabilities will help us assess the device more objectively once the full review goes up. Any word on international availability for the 8 SE? She's also got a bit of Salma Hayek look going on aswell.